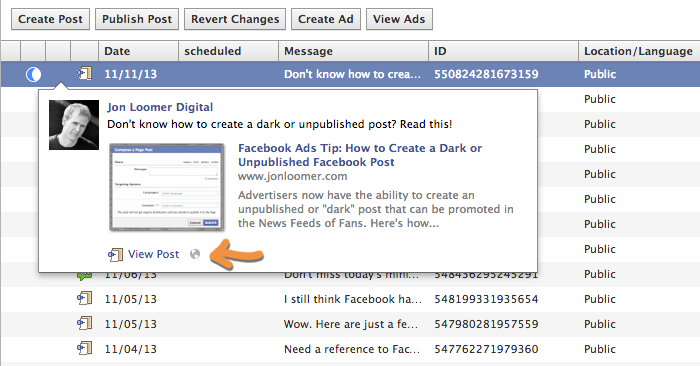 Facebook advertisers far and wide have found enormous success creating dark (or unpublished) posts. 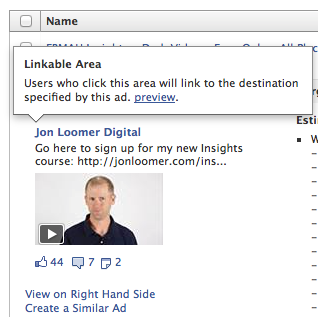 It’s a terrific way to optimize and create ad variations that reach the News Feeds of your target audience. But these same advertisers repeatedly ask the same question: How do you check the comments on these posts? You see, unpublished posts are just that — they aren’t published to your Facebook Page. So monitoring these posts can be a challenge without a bit of creativity. Select “Manage Pages” from the top left drop-down within Power Editor. After selecting your Page on the left, you will then see all of the corresponding recent and unpublished posts within a list. Highlight the post in question. This will open the post’s permalink, which will allow you to view all activity on that post. 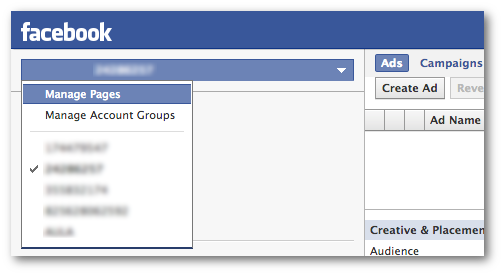 One issue with this method is that Facebook will only display the most recent posts within the Manage Pages area of Facebook. So your post will eventually fall off that list. 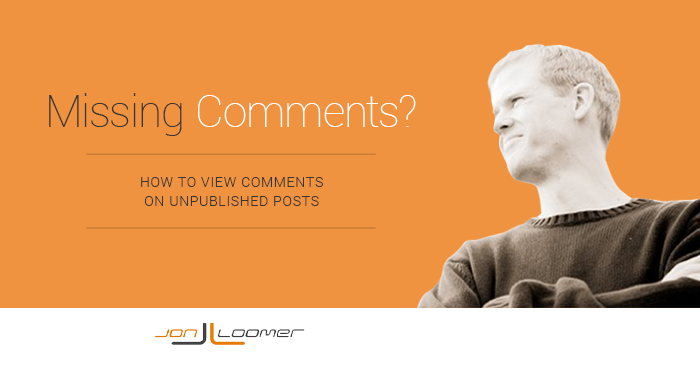 However, keep in mind that any time users comment on your unpublished post, you will receive a notification as you would for a published post in your Admin Panel. 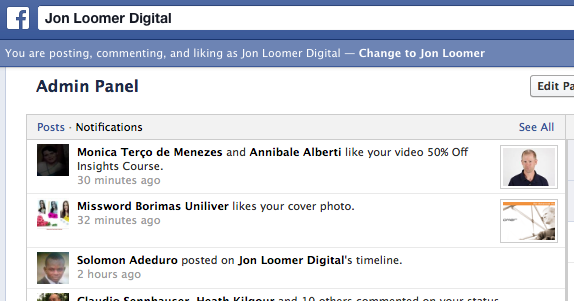 You may want to click that alert to access the dedicated page for that post to bookmark it for later. Note that there is another way to do this from the Ads Manager, though it only works for photos, videos and text updates (not link shares). Click the “preview” link. That will bring up the dedicated page for that post. Unfortunately, it only opens the link you’re promoting (not the post permalink) for link shares. Still having issues? Watch the video at the top of this post!